This lovely big kite is filling a large space on our library wall while we wait for some new art work from students. 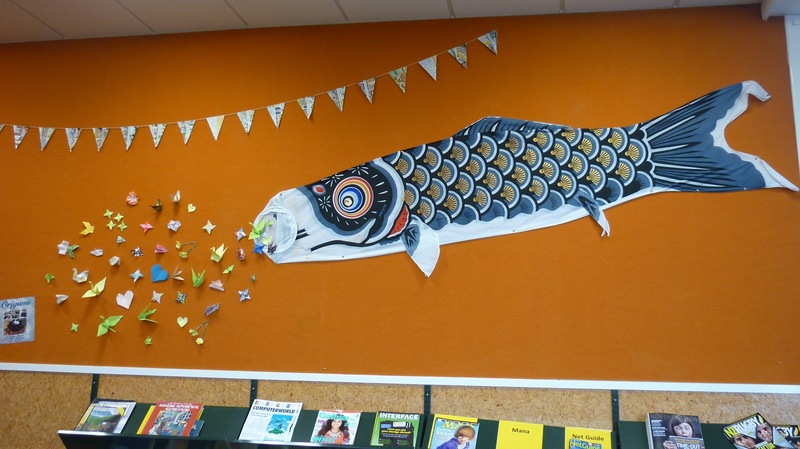 Visiting students from Meijo High School in Japan made lots of different origami shapes which are being gobbled up by the big fish. 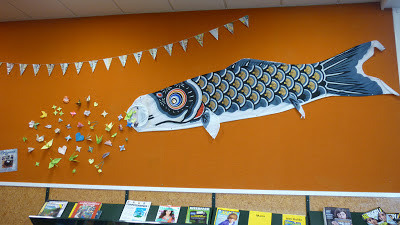 I have put pictures of the origami books we have in the library for the students to borrow alongside.